Once again, I had the chance to attend the International Logistics Congress in Berlin. 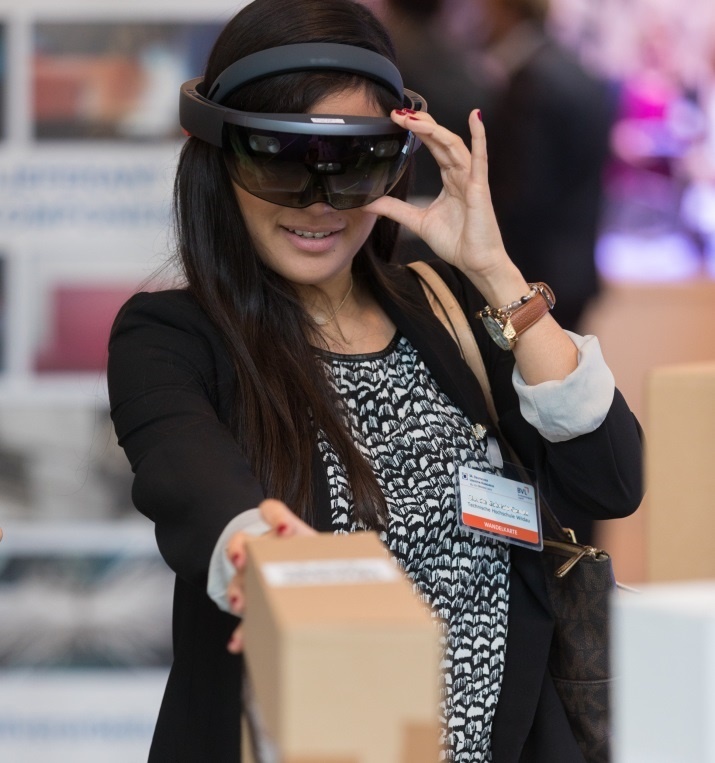 The 34th edition of the event, organized by the German Logistics Association (BVL), adopted the motto: “Think different − Act digital”. With many keynotes and discussions referring to this slogan, the association wanted to point out that digitalization should not only be seen as a technological concept, but also as an intelligent driver of change, and should be implemented into practice. This especially affects the logistics industry, as new technologies and digital business models are totally transforming common logistics. While attending the panel discussions and listening to speakers, I felt that these concepts had already been put into practice. 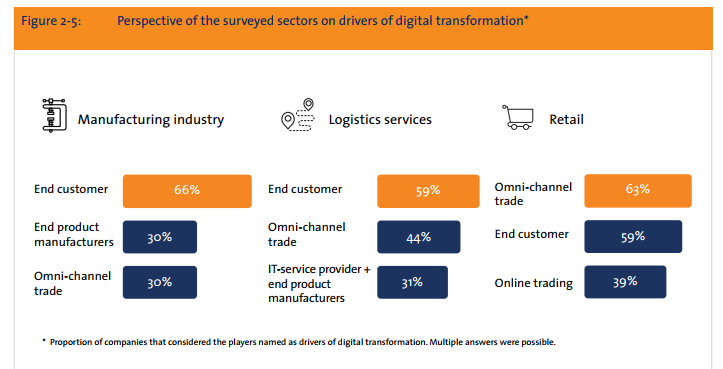 It became clear that the importance of digitalization in logistics and supply chain management has not only influenced decision-makers, but also, initial solutions have been developed and implemented. Nevertheless, many agreed that the task of achieving networked, automated and digitalized processes is long. Many obstacles within companies have to be overcome during this task. Furthermore, innovations and rapid access to digitization are also hindered by infrastructural and political barriers. For this reason, the German Logistics Association surprised attendees with a specific petition. In his opening speech, Prof. Raimund Klinkner, Chairman of the BVL Executive Board, presented an open letter to the German Federal Government. In this letter, the logistics sector makes specific demands on five political fields of action: transport infrastructure, digital infrastructure, urban logistics, education and planning procedures. Many participants supported this letter in the first hours of the congress with their votes. Clinton Großhandels GmbH is one of those companies adapting its entire supply chain to suit the customer. During the congress, I was able to visit their impressive intralogistics in the European Logistics Center. 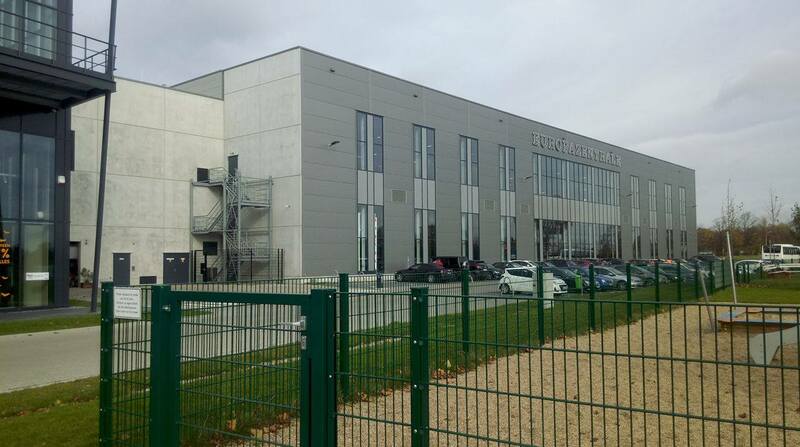 The company is a family-owned fashion business with its headquarters in Hoppegarten, near Berlin. 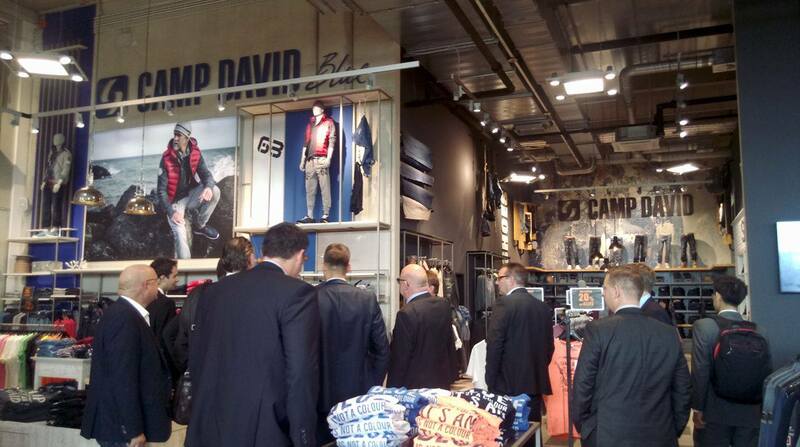 They create and distribute products from their own fashion brands Camp David and SOCCX, which are sold in about 300 retail stores and more than 1,500 wholesale POS locations in Germany, Austria and Switzerland. Although every order is handled in the European headquarters, Clinton supplies these regions within 24 hours. In order to supply the stores with every shirt and pair of jeans in the right size, color and quantity, Clinton has implemented a hanging bag system in cooperation with the system provider Knapp AG. The view inside the factories is a bit magical, because thousands of bags “fly” from each side along the rails above the employees’ heads. Automation really is implemented here. Clinton´s New European Headquarters, Photo: Julia SeverinsTalking to one of the representatives, Helge Stanski, he explained, that implementing an omni-channel-concept is a strategic goal for Clinton. While the company has operated in the B2B sector for years, the end customer is now specifically demanding direct business via online channels. Therefore, Clinton is working on their online selling and omni-channel business. He also said that they are not afraid to disassemble their own retail store. They believe that the establishment of the online shop contributes to continuous growth. Nevertheless, the idea of the classic omni-channel is a huge logistical challenge. The fact that omni-channel is not only perceived as a logistical challenge in many companies, but that its implementation and benefits are even called into question, became clear in the omni-channel agenda item. I was impressed by the honesty of Maximilian Molkenthin, Senior Head of Logistics at PUMA Group, regarding omni-channel. He clearly stated that currently, Puma does not recognize any omni-channel business scenario and considers the large intersections of the individual sales channels just as difficult to implement. Although he is aware of the importance of the subject matter, he reminded us in a very down-to-earth way that sometimes it can be more effective to concentrate on what you are really good at and not to run after every innovative idea. In the same topic session, Terry Murphy, Director of National Distribution Operations at John Lewis PLC (UK), had a contrasting view on the subject. He told us that “underestimating online commerce was our biggest mistake.” And also Mark Roex, E-commerce Business Development Manager at JOG Group (Netherlands), started his short talk on the topic with the phrase “It’s no longer omni-channel or multi-channel for us, we just call it retail”. JOG´s “Jeans Center” stores started their so called omni-channel journey five years ago, and now they earn 80% of turnover with this approach. In this period of growing e-commerce, transport and parcel service providers are working under great pressure. Boris Winkelmann, Chief Executive Officer at DPD Germany, reminded us that even though selling and buying processes become more digitalized, the transport service provider is still handling analogue processes as in the end; the parcel reaches the customer physically. The number of start-ups appearing in this sector is growing. Drones, robots or private parcel distribution receive a lot of media attention. Even though Winkelmann said that these innovations are important, and have to be watched closely, he explained that most of the ideas and innovations only concern either the first or last mile. They don´t cover the entire supply chain. Furthermore, most of the start-ups cannot achieve reasonable unit costs because they simply lack mass production. “Think different − Act digital” is not only a call to action. It has already been put into practice. A growing range of available technology makes it easier to get started and profit from digitalization. But every new process of digitalization changes common processes in logistics and supply chain. Therefore it is more important to recognize the supply chain as an overall structure and not just focus on individual processes. The effects of, for example, implementing omni-channel concepts does not just impact distribution and transport. There are further consequences on infrastructure and environment. New challenges also appear in procurement, production and warehouse management. The same applies to the networking of machines and people, the use of innovative ideas such as augmented or virtual reality, or a stronger individualization of products. Nevertheless, the advice “don’t do digital to be digital” should also be taken to heart. Digitalization means more than implementing software. It is a way of thinking, acting and leading. What steps toward digitalization have your company taken?